Scottish farmers and crofters need clarity and certainty to be able to prosper in the future and agriculture must not be used as a ’bargaining chip’ as Brexit negotiations continue, the Government has been told. NFU Scotland met with Secretary of State for Scotland, David Mundell, on a farm in East Lothian last week to speak about the challenges facing the sector. 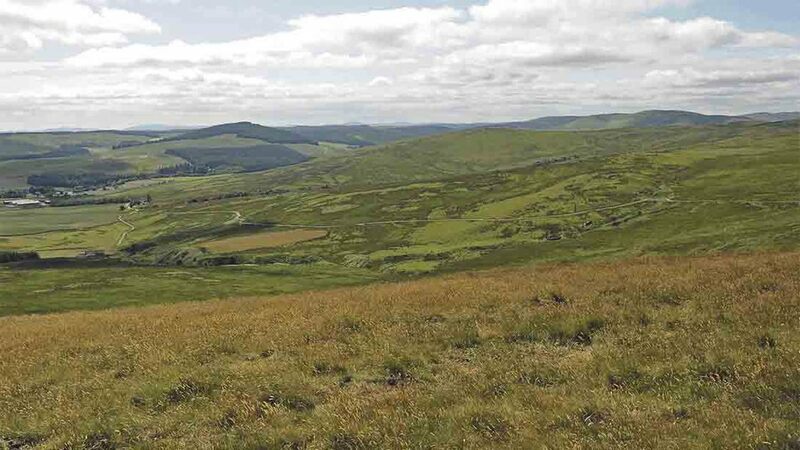 The agenda focused on the UK Government’s commitment to agricultural funding up to 2020, and how its distribution will meet the requirements of Scotland’s patchwork farming industry. Additionally, NFUS reiterated the ten commitments that it wishes the UK Government will take forward for agriculture following the Brexit vote, as well as the issues of labour and Country of Origin labelling. As Scotland’s voice within the UK Cabinet, the union urged Mr Mundell to bring together all four constituent governments to drive a positive and constructive agenda. The meeting took place at East Lothian Produce, a dynamic growing and packing business producing brussels sprouts, cabbage, parsnips and potatoes based in Haddington, courtesy of the McCullagh and Logan families. Calling farming and crofting the ‘bedrock of the UK’s food and drink industry’, NFUS president Allan Bowie illustrated the ‘key priorities’ that seek to secure the best possible deal on future investment, trade, access to labour and agricultural support. Following this, he went on to talk about the Treasury’s guaranteed payments for direct support but raised the important issue of no commitment for rural development funding, which includes the vital Less Favoured Area Support Scheme (LFASS) and agri-environment schemes. He said: "LFASS and agri-environment schemes are a way of recognising market failure while delivering public benefits and funding for these schemes needs to be guaranteed in the same way that funding for direct payments has been. Despite the UK Government leading the forthcoming Brexit negotiations, the NFUS will maintain regular dialogue with other key stakeholders as part of its wide engagement strategy including Scottish Government, politicians, processors and retailers.